Booting Debian on NexusOne with X11/Wifi from SD card. -Tweak settings to make X more usable. -Get the CodeAurora MSM/QSD X driver working. -Find decent method to input text. -Look into using the GSM radio. -Figure out how to configure adbd. This how-to pulls heavily from the debian-arm install guide. sdcard with room for Debian - 2gigs seems to be sufficient for Debian + xfce. using the lighter XFCE4 desktop I haven't had any space issues. simply use another sdcard and dedicate the entire thing to Debian. will not be able to find it. don't use my sdcard for anything else. 2. Format the new partition. I used Gparted for this part as well. Users of other distros may be able to get debootstrap but I'm not sure. 4. Mount the sdcard on your desktop. X11 running in lenny, and have not tested sid. Unmount the sdcard from your desktop. file system. Android didn't like my sdcard until I did. mount the sdcard somewhere on the android file system. look in /dev/block for the sdcard. Typically mmcblk0p# where # is the partition number. this will take a while especially if you have a slower sdcard. Started with mahimahi_defconfig (default nexus one kernel config from google) and starting customizing from there. you need. Your root file system support cannot be built as a module. I stuck mine in /etc/firmware, default is /system/etc/firmware. - wireless - Add in support for standard wifi extensions. - Default kernel command string - has no effect. - Drivers - I left all the normal android drivers in. -Changed the firmware path for wifi. -You can build the wifi driver into the kernel if you want. Link to the kernel config I used. Use at your own risk. It works for me but I can't promise it's perfect or even good. I would love input on building a better kernel config. If you don't want to build your own kernel. You can download mine here. 7. Chroot and configure Debian. using a Debian chroot image. For more information and examples of config files. It's probably best to use wifi for your data on the phone for this. set up resolv.conf with something sane. ex. from jay freeman's original Debian chroot. specified in the kernel config. Welcome to Debian chroot that we all know and love. Lets finish configuring this thing. You should see aptitude updating it's package list. a directory doesn't exist then create it. here too. Don't forget to mkdir for the mount point. *note* after boot the memory card is located at /dev/mmcblk0p#. These two files will be tuned to what you need. 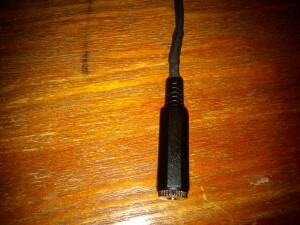 if you have a serial cable, configure it here. something like this. Double check your configs and have your kernel handy. The next step is to boot into Debian. the '-c' flag specifies arguments to pass to the kernel for boot. This is probably the bare minimum. Format is "fastboot -c 'kernelcmdline' boot zImage"
Wait just a few minutes. DHCP is probably the longest part of this. phone via adb. adb push and pull work as well. For a basic X11 install. This is probably not what you want. will get pulled in when you install. By default Debian is configured to only allow root to startx. *note* even with this I haven't been able to run X as a normal user. make things a little more usable. keyboards out there. One interesting one I found is called cellwriter. 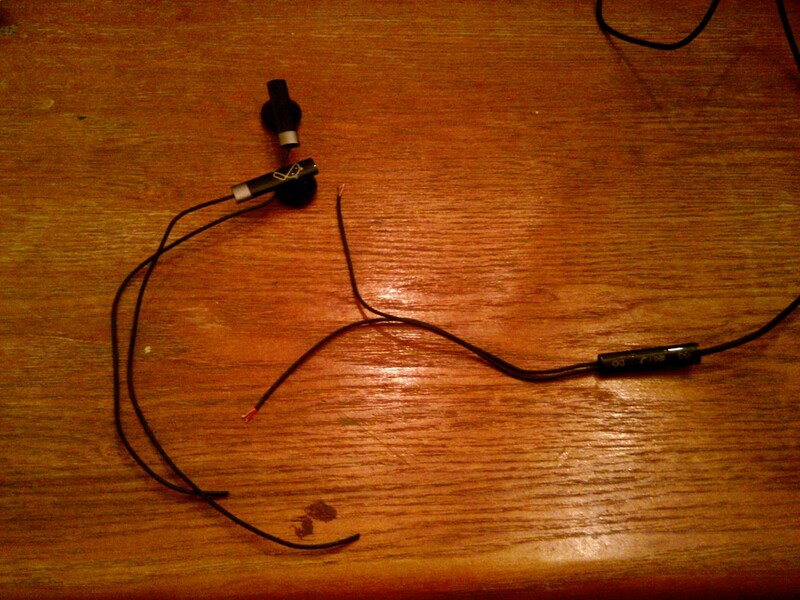 So I’ve been really enjoying my shiny new Nexus One but the stock headphones blow. They fall out of my ears and also don’t offer any noise cancellation which makes them a no-go for work. The headphones have a pretty nifty inline remote that offers skip forwards/backwards and pause/play buttons. 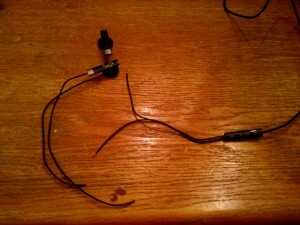 I really wanted to take advantage this so I set out to mod my headphones. Now, if you have ever worked with headphone wires then you know how much of a PITA they are. I decided to document the process and post it here so anyone trying to do something similar might learn from some of the pitfalls I encountered and a couple of nifty tricks I discovered. First off I have to thank Alex Whittemore’s blog post which helped me figure out how to prep those tiny evil wires for soldering. First thing first. 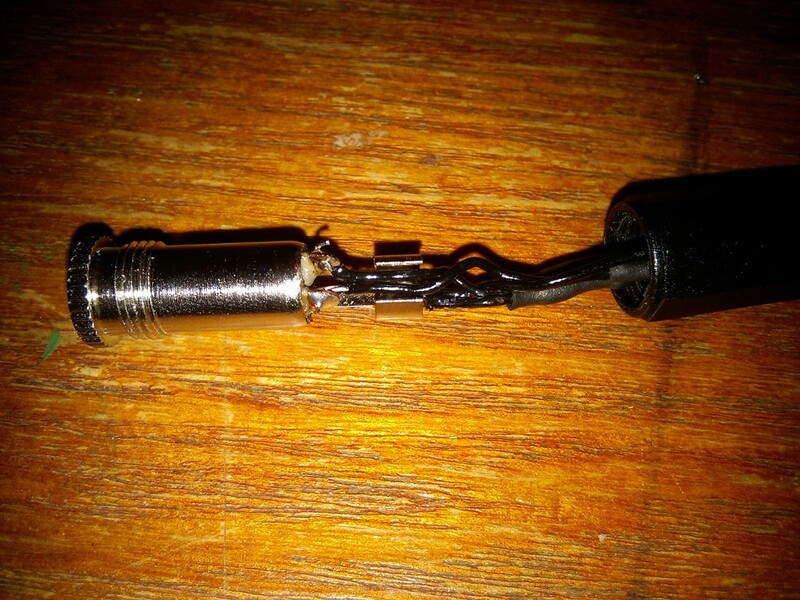 Chop off the ear-buds and strip the wire. I used an X-Acto knife for most of the cutting work. For stripping the wire, I rolled it underneath the blade with just a little bit of pressure. Afterwards the insulation pulled right off with my fingers. Once the wire is revealed we see a colored wire, and a copper wire. The colored wire is the for the signal, green is left, red is right and the copper wire is ground. Make sure you keep track of which is which. 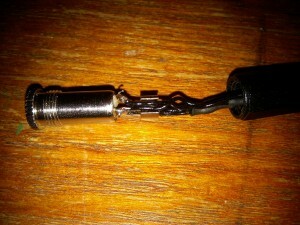 Next, I used a Bic lighter to burn off the acrylic insulation from the wires. A few things to note here. 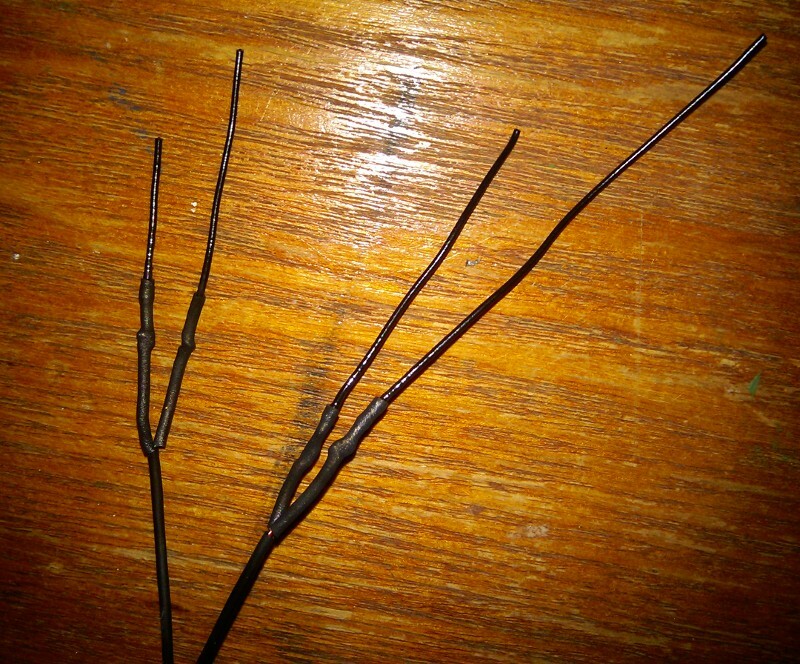 First, this stuff catches fire pretty quickly and will burn all the way up to the sheath and melt the sheath if you are not careful. 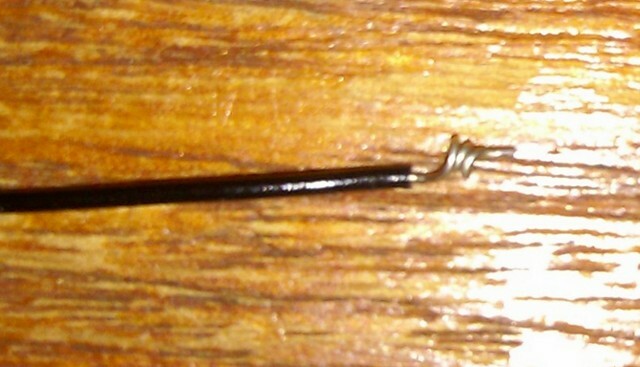 Since we just want to burn the insulation off of the end of the wire let it catch fire and then blow it out quickly. After the initial burn, keep the flame of the lighter on the wire till it glows red hot. At that point, after cleaning it off with some rubbing alcohol it should be ready for soldering. Soldering these wires is a royal PITA. They are flimsy, don’t stay where you put them and getting solder to stick is difficult at best. 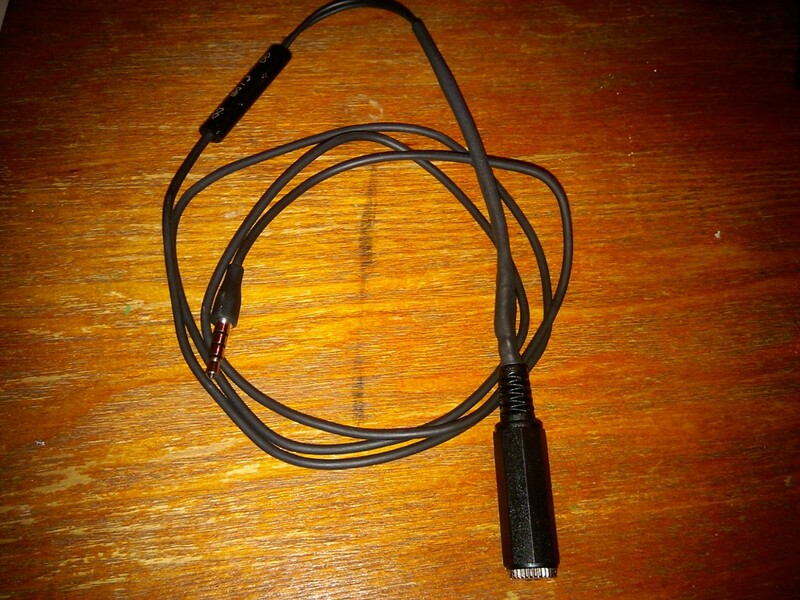 I found one tip that suggested taking a piece of solid wire, coiling it up like a spring and soldering the headphone wire to it. 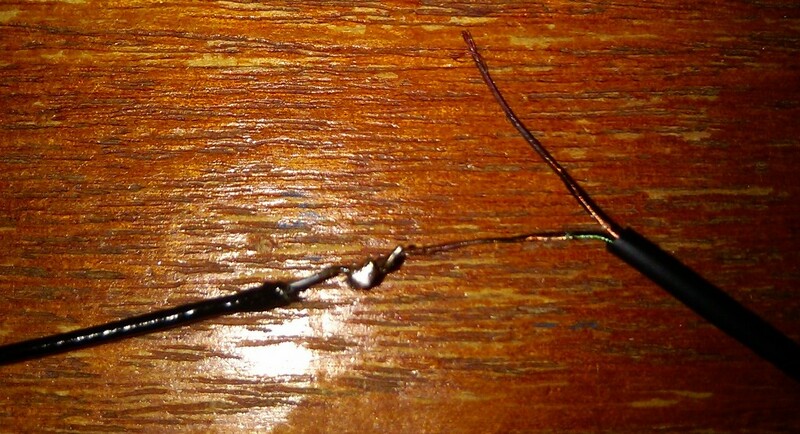 The solid wire is way easier to solder onto the jack and the coil gives it some springiness so you don’t stress the joints on the jack too much and break them. I took this a small step further and used a pair of pliers to clamp the coil down on the headphone wire after I slid it inside the coil which held it very well while soldering the two wires together. 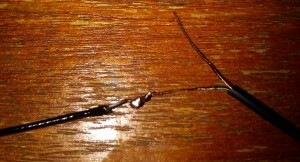 I know it’s not the prettiest soldering job in the world. But I’m really just a beginner. 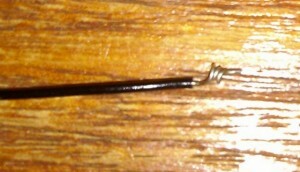 I trimmed the melted insulation on the solid wire with the xacto knife after this pic was taken. Next. Heat shrink! This stuff is awesome. 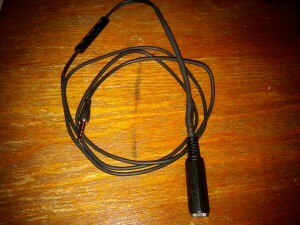 Use it to insulate the wires from each other and help protect the joints. I used heat shrink very liberally in the mod. Make sure you leave some way to tell which wire is which. I used different lengths of the solid wire to help me keep them separate. Final step, soldering on the shiny new headphone jack. I got mine from Fry’s. I’m sure there are 1000 places you can find them online too. Don’t forget to slide any extra heat shrink and the jack sheathe on BEFORE you start soldering it all together. I forgot and had to take it apart and do it again. 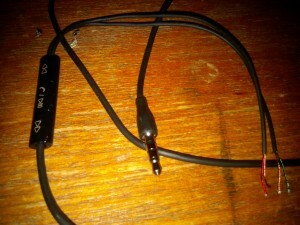 I twisted the two ground wires together and added a little solder to help keep them together. 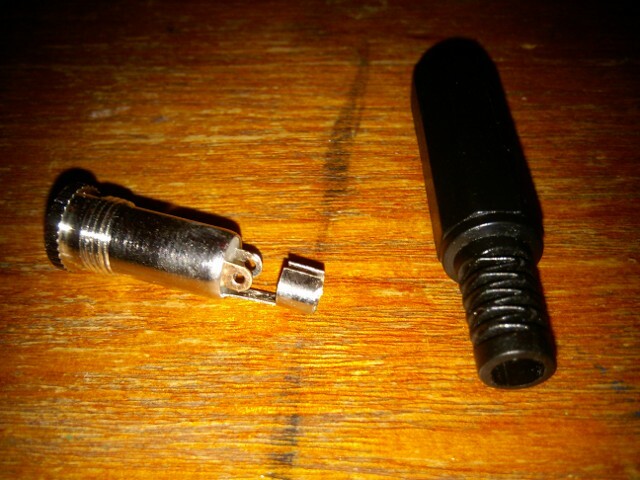 Then I soldered the pair onto the ground connector of the jack. More heat shrink tubing and the finished product! Works like a charm. © Irregular-Expression. Powered by WordPress and Pyrmont V2.